There is probably a no more tedious task as creating bibliographies for your scientific papers. Not to mention the fact that different journals require different reference styles. Leave behind the tedious work of formatting bibliographies, searching for references, and finding full-text articles. 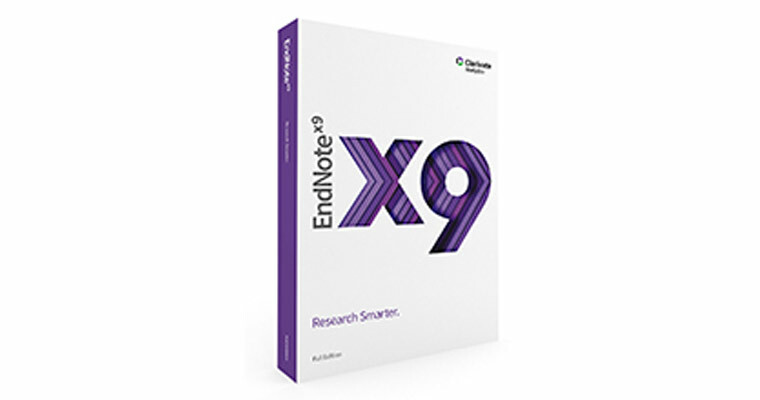 EndNote has been the researchers´ choice for managing references and formatting bibliographies for over 25 years. Insert citations from your EndNote library into your documents and automatically build a bibliography in over 6000 styles right from Word. Search online libraries and databases directly from EndNote and import references and full-text articles in seconds. Organise, update and share your references with your colleagues, and add personal annotations and notes to your references and full-text PDF articles. EndNote can be used on Windows and Mac computers, iPad, and online via your web browser.